The long history of US intervention in other countries’ elections has been omitted from discussions of Russia’s alleged meddling. The collective hysteria over fake news, Russia’s alleged role in the DNC hack, and the unsubstantiated kompramat that supposedly links Donald Trump to Vladimir Putin has reached a fever pitch. But mainstream cable news and the Washington intelligentsia have somehow neglected to connect it to a crucial piece of the US history: its long-standing tradition, euphemistically known as the Truman Doctrine, of intervening in democratic elections abroad to promote its commercial and ideological interests. Truman’s doctrine would “support free peoples,” he proclaimed in March 1947, “who are resisting attempted subjugation by armed minorities or by outside pressures.” Indeed, he and his successors would go to great lengths to keep this promise during the Cold War. American presidents repeatedly directed the CIA to overthrow freely elected leaders in Iran, Guatemala, the Congo, and Chile because they nationalized industries, threatened corporate interests, and obstructed the United States’ imperial ambitions. American officials falsely branded these leaders as Communists, framed them as threats to national security, and authorized covert operations to replace them with dictators who would serve US interests. Omission of this history from today’s discourse on Russia and our adversaries prevents our leaders, and especially the American public, from realizing the same tools the United States used to interfere in others’ affairs are now being used against us. Shielded by this ignorance, it is easy for US officials to portray us as the victims of attacks rather than the inventors of the weapons. When Senator John McCain, for example, says, “If you’re able to change the results of an election, then you have undermined the very fundamentals of democracy,” he forgets to mention this is precisely what the United States did in Iran, Guatemala, the Congo, and Chile when they were just beginning to experience democracy. In 1953, a US-backed military coup overthrew Iran’s first democratically elected leader, Prime Minister Mohammad Mossadegh, in response to his decision to nationalize the highly lucrative oil industry, cutting off the gravy train the Anglo-Iranian Oil Company had been riding since 1909. Time had honored the Western-educated leader the year before the coup as its man of the year, hailing him as “the most world-renowned man his ancient race had produced for centuries.” Suddenly, because he wanted to use Iran’s oil wealth to benefit his country, he was deemed a pinko. Using American tax dollars to develop a network of Iranian agents and to bribe the regime’s opponents, the CIA launched political warfare against Mossadegh. It distributed fake news via posters and newspapers that called him corrupt, anti-Islam, and the Soviet Union’s ally, it encouraged religious leaders to criticize the prime minister from inside their mosques, and it enlisted street mobs to incite riots across Tehran. Success finally came on August 19. Paid infiltrators played both sides: some posed as Tudeh party members attempting to foment revolution while others convinced the citizens to rise up against this threat. Eventually, amid growing anarchy, General Fazlollah Zahedi, paid off by the CIA, ordered his bribed military units to seize government facilities and Radio Tehran. He proclaimed himself “the lawful prime minister by the Shah’s orders” and collected $1 million in cash from the CIA. Soon after, the Shah — Washington’s chosen dictator — assumed the throne, American oil companies moved in, and US-Iranian relations quickly warmed as the new regime squashed dissent, imprisoned opponents, and received unprecedented US arms shipments, American assistance to create the Monarchy’s secret police, and US support to develop Iran’s civilian nuclear program. The American recipe for overthrow continued to evolve. Guatemala’s freely elected president Jacobo Arbenz became the next target when his New Deal-style programs threatened the interests of American corporations. The powerful United Fruit Company, whose executives were in bed with a number of influential American officials — some of whom were former employees and some of whom had financial interests in the corporation — found Arbenz’s policies especially worrying. The Agrarian Reform Law of 1952 authorized the Guatemalan government to seize vast tracts of United Fruit’s uncultivated acres. The next December, the CIA’s Operation SUCCESS set in motion a six-month coup. 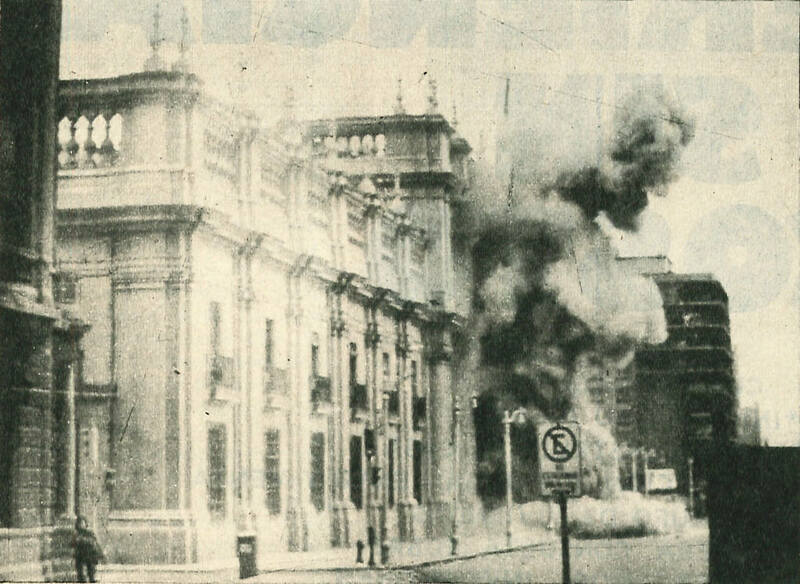 CIA agents used Voice of Liberation radio to broadcast fake news describing an impending communist takeover and civilian uprisings, recruited a rebel army to sow unrest, distributed religious leaflets calling Catholics to revolt, and coordinated air raids that dropped bombs on military installations and other targets across Guatemala City. These efforts turned popular and military support against Arbenz, forcing his resignation and paving the way for Castillo Armas — the United States’ handpicked dictator — to become president. This established a long line of dictators, death squads, oppression, and near-genocide that wreaked havoc across Guatemala for the next four decades. In 1960, American meddling escalated. President Eisenhower decided to skip the coup and go straight to assassination. He ordered — once again using the false pretense of an impending communist threat — the CIA to assassinate Congo’s democratically elected prime minister Patrice Lumumba, the young nationalist who ended seven decades of brutal Belgian rule and promised Congolese citizens a better future with greater control over the country’s natural resources. When the plot to poison Lumumba failed, the CIA outsourced the job to Congolese accomplices and Belgian officers. With the help of Joseph Mobutu, the repressive military dictator installed by the United States who would rule for three decades, they eventually captured him and handed him over to his enemies. They tortured Lumumba, then murdered him by firing squad on January 17, 1961 — just three days before John F. Kennedy was inaugurated as the freely elected president of the United States. During the early 1970s, commercial interests once again required CIA assistance. When Chile elected Salvador Allende, the anti-imperialist, working-class champion, he nationalized profitable American-dominated industries such as communications and copper, the resource gem for which Chile was the world’s leading supplier. President Nixon, who believed the false reports of Soviet influence he received from American and Chilean industrial titans, authorized the CIA to overthrow Allende, setting in motion a ferocious propaganda campaign that included distributing fake news, strangling economic development, conspiring with disgruntled Chilean officers, indirectly assassinating a senior military leader, and staging anti-government protests. Our electoral integrity is a legitimate concern, and American officials should express outrage at Russia’s alleged actions (should they turn out to be true). But every American should feel equally chilled by our history of undemocratic electoral interference around the world. Millions of Iranians, Guatemalans, Congolese, and Chileans suffered under the iron grips of unelected dictators the United States installed. Hundreds of thousands died in the aftermath of these coups, countries split into civil wars, untold natural riches were stolen, and countless others endured unspeakable trauma and loss. Unforeseen blowback in response to these actions will likely continue in the years ahead. Whether it was Russian spies or American couch potatoes who convinced Podesta to give up his password, the United States has not suffered the way other countries have — at least not yet. As the tools of American power proliferate and fall into the hands of our supposed adversaries — arms, nuclear weapons, coups, drones, and cyber-warfare — we must confront the reality that as long as the United States continues its habit of meddling abroad, other countries will be tempted to use these and other forms of covert action against us.